Our CEO, Hugh Taylor, was invited to contribute a feature article to Utility Week. Given the impending Connection Offer Expenses that Distribution Network Operators (DNOs) can charge grid applicants from 6 April 2018, Hugh surveyed his contacts at the DNOs to get an idea of their charging intentions. He also gave some background to the struggles DNOs faced and why the new fees have been introduced. This article was first published on Utility Week on 27 March 2018. Hugh Taylor, Chief Executive of independent power consultancy Roadnight Taylor, looks at the conditions which led to the forthcoming Connection Offer Expenses (previously known as Assessment and Design fees) and gives details on how the DNOs are responding. DNOs are legally obliged to provide a connection offer on request, and in doing so they incur Assessment & Design (A&D) costs. These typically include the costs of assessing and modelling the electricity network, designing the connection and any wider network works as well as undertaking surveys, site visits, drawing plans, accommodation and equipment amongst other things. Before August 2008, most DNOs were charging upfront for A&D fees. But after this was challenged by a customer, Ofgem viewed that DNOs must “be required to amend their charging methodologies to remove upfront charging for A&D work.” Hence, from thereon A&D fees could only be recovered after a connection offer was accepted. The unintended consequence of this ruling – not helped by the twin birth of the Renewable Obligation and Feed in Tariff regimes – was that DNOs were inundated with connection applications for distributed generation (DG). While the volume of applications to DNOs since 2008 has been problematic, it is the low rate of accepted applications – and therefore the frequency that DNOs can recover expenses – that has caused the most damage. Acceptance rates range from just 6% to 17%, depending on the DNO, for generation requiring EHV (22kV+) works. With abortive rates well over 80%, the brunt of A&D fees has fallen exclusively on those customers who accept offers. Many applications have been speculative. For example, anecdotally, one DNO once received 250 applications in a two-week period – all from a single applicant. Whilst a number of these were cancelled, offers were issued for the remaining 130 within the statutory 65 working day limit. Very few of these were accepted, and the net cost to the DNO ran to some £250,000. Every DNO has similarly shocking statistics around application volumes and general abuse of the position which Ofgem took in 2008. On 28 February 2018 the Department for Business, Energy and Industrial Strategy (BEIS) laid the Electricity (Connection Offer Expenses) Regulations 2018 in Parliament and published a Government Response and Impact Assessment. The Regulations will now allow DNOs to charge A&D fees to grid connection applicants, irrespective of whether they accept the subsequent connection offer. Not surprisingly, DNOs seem unanimously relieved that from 6 April 2018 they can charge expenses against any new applications submitted. However, the Legislation is deliberately non-prescriptive as to which reasonably incurred costs should be recovered, when, how and at what level. While there has been some liaison between the six DNOs, each has mapped out its own approach. Sitting on the connections steering groups of most of the DNOs, I’ve surveyed their intentions. The strongest similarities are in their selection of affected market segments. Initially, most DNOs will limit charges to connections requiring HV and EHV works. 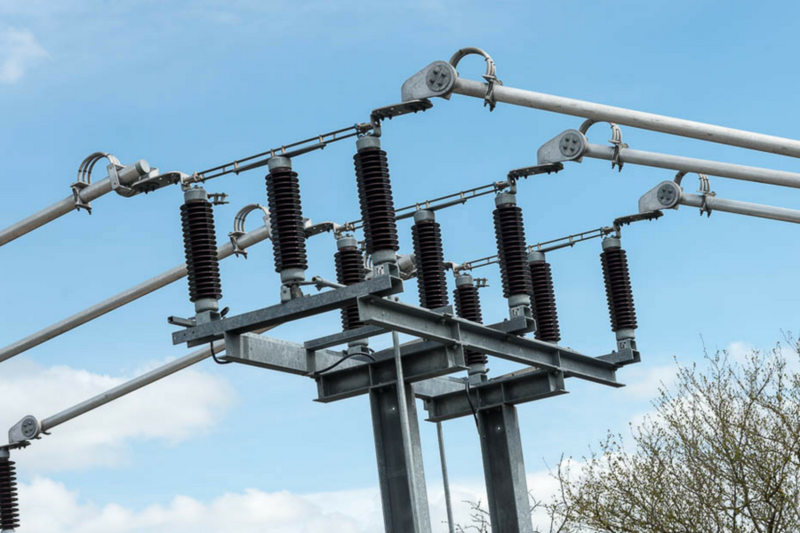 Western Power Distribution’s (WPD) current probable position is to apply the Regulations to demand and generation connections requiring EHV works only, and Scottish Power Energy Networks (SPEN) currently plans to only charge DG applicants. Northern Powergrid (NPG) are also expecting to apply modest charges for LV works, but not for small works and G83 applications. ENWL’s current, minded-to position is initially to invoice on issuing EHV-related offers, with the offer only to remain valid if the invoice is settled within 30 days. Where DNOs do choose to apply fees, some are proposing to introduce them at the levels quoted in their existing charging statements. While others, such as Scottish and Southern Electricity Networks (SSEN) expect the early costs to be around their published figures. Perhaps fearful of a dramatic increase in budget estimate applications, NPG is proposing to start charging for budget estimates at up to £510+VAT, depending on market segment. Most DNOs will be implementing a cooling-off period between providing notification of the fee and incurring the expenses. Consistent across the DNOs is an intent to monitor the impact of the expenses on application and acceptance rates. Neither the fees they have shared with me, nor the market segments affected, have been set in stone. The DNOs surveyed have indicated a strong desire to continue engaging with stakeholders. Some too will still let customers submit some applications at multiple capacities, but under the same application. With most planning to invoice for accrued expenses on issue of the connection offer, there is a concern among DNOs that bad debt may become an issue. Currently, under Electricity Distribution Standard Licence Condition 12 (SLC12) DNOs are obliged to release connection offers within 65 working days, even if the applicant has not paid the A&D fee. Ofgem are proposing to change SLC12 to exempt the DNO from this obligation – so the DNO does not need to offer terms where the requester has not paid the relevant charge within a reasonable timescale. Ofgem have issued a consultation, in this regard, with a response deadline of 28 March 2018. If Ofgem decide to make the proposed SLC12 modification, it will take effect not less than 56 days after its decision is published. No DNOs have yet suggested that their initial approach would require this modification, most DNOs are finalising their approaches with only one expecting to introduce the new charging regime starting from 6 April – with others suggesting they will follow in the weeks after. To find out if you might have an opportunity for a viable grid connection with our Stop/Go TM study, call us now on 01993 830571 or send us a message via our contact form. In some circumstances we will also pay up to 100% of the connection offer fees charged by DNOs.